I´m a huge fan of pancakes and waffles, and love to have them for brunch and sometimes for a sweet and delicious dinner. When I was invited to be a part of the Cacique Cook Off Challenge, the first thing that came to my mind when I was trying to figure out what I would prepare was this delightful pancake recipe that can easily be turned into waffles too. 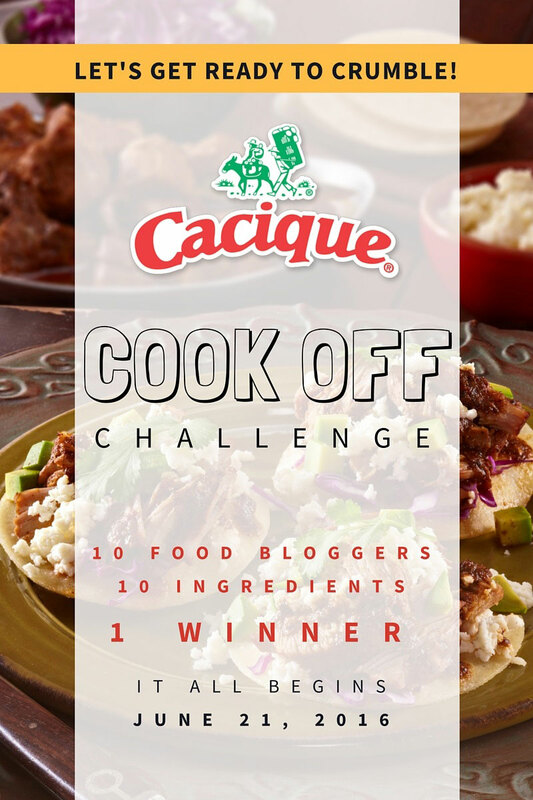 I love Cacique products because they are made with a 40+ year old family recipe (and you know how much I love family recipes!) that adds that unique Cacique flavor to all my recipes. 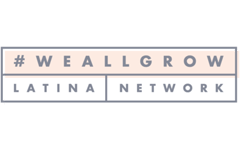 Moreover, their cheeses and creams are gluten-free, and made with fresh and natural ingredients, such as Grade A milk and sea salt. 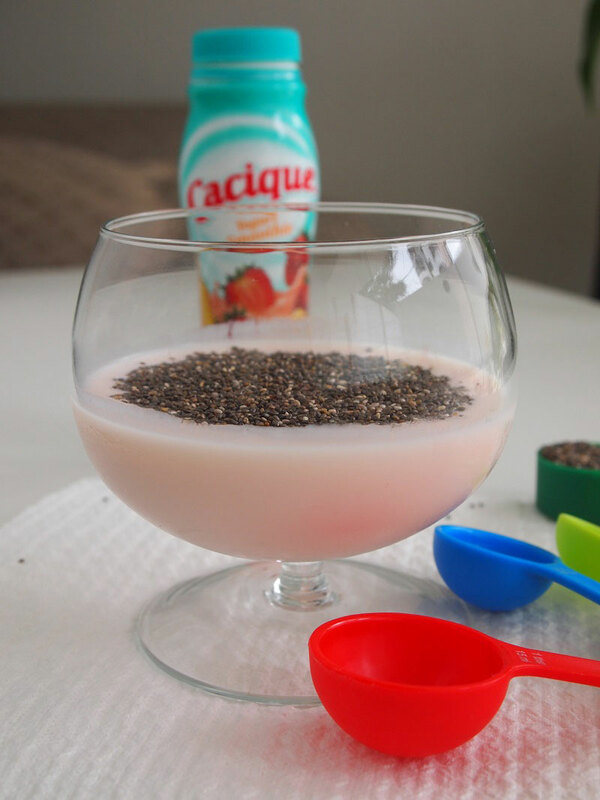 Cacique doesn’t have a Peruvian line (yet? ), but it does have an extensive line of Mexican style cheeses, creams, chorizos and yogurt smoothies to make all kinds of sweet and savory dishes, that work really well in all other Latin recipes too. 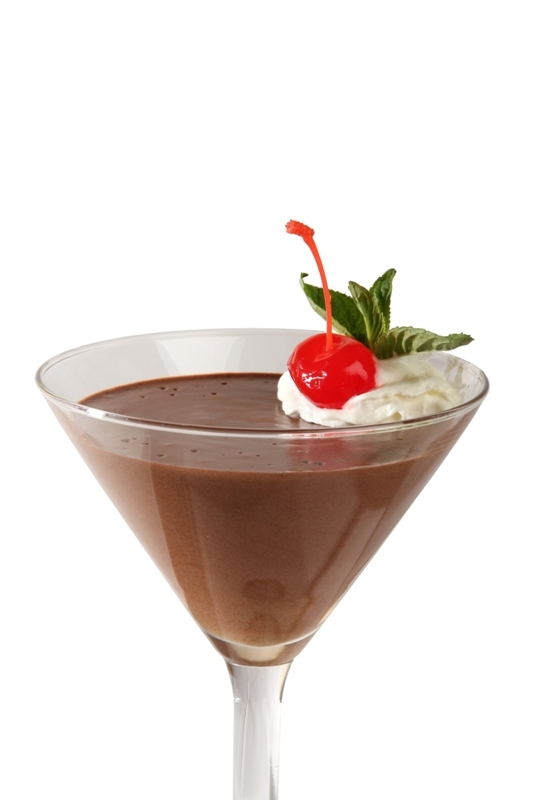 If you want to try this recipe, you can think of it as a healthy dessert. It has cheese and yogurt, chia, a bit of whipped cream, almond meal, and plenty of fruits. I also added some of the fruit to the yogurt mousse, but you can use the fruits just to garnish the pancakes. 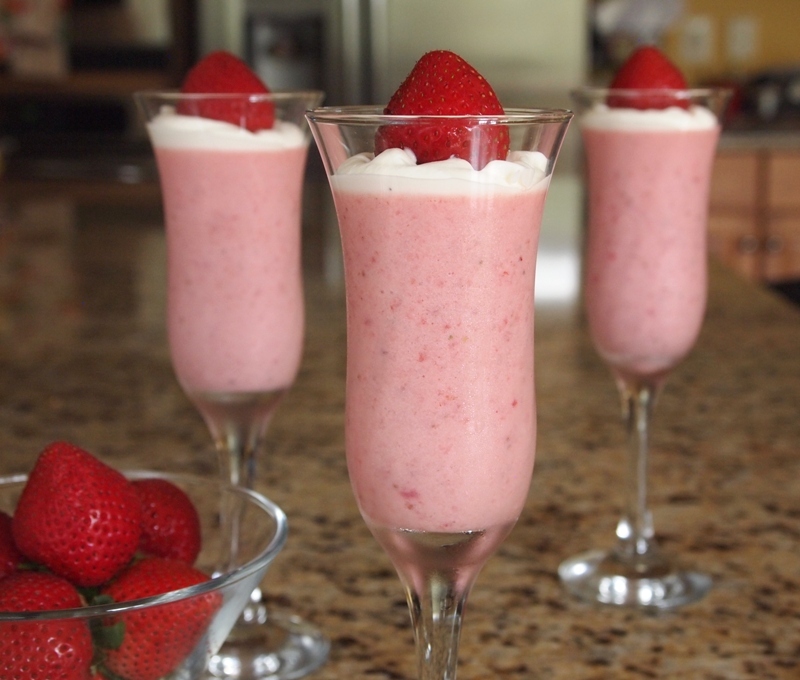 Skip the whipped cream if you don´t feel like having the extra calories. The batter of the pancakes is very easy to make, combining the dry and wet ingredients, and finally folding the beaten egg whites. 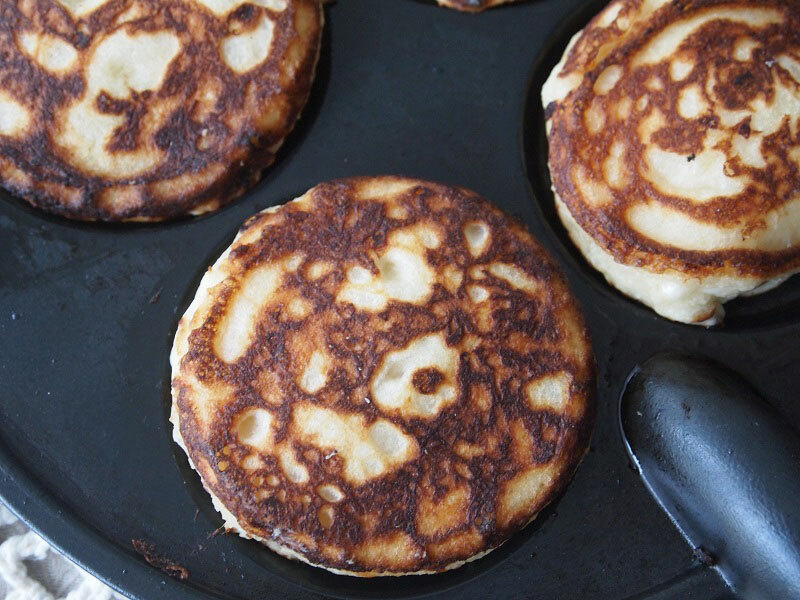 Cook the pancakes until golden brown but use a nonstick griddle or skillet, because the queso fresco sometimes sticks to the surface of the pan. 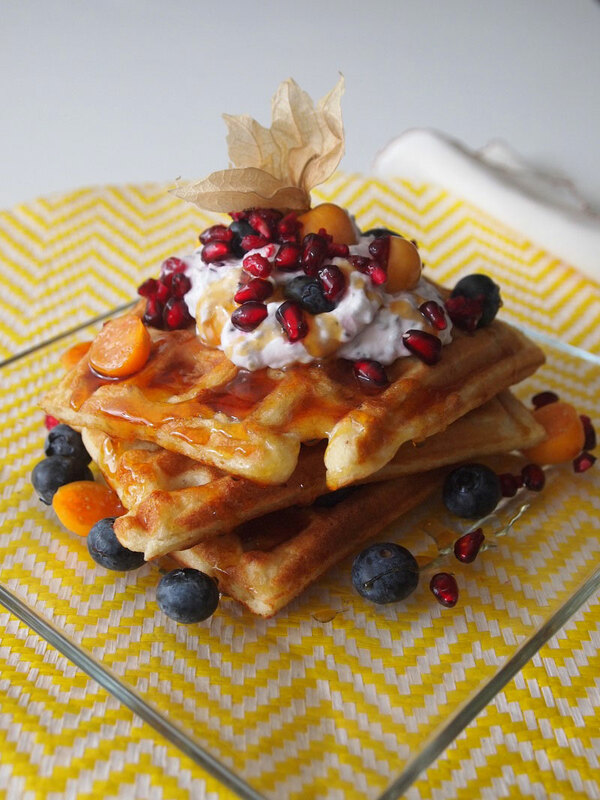 To make waffles heat the waffle iron and cook them following the instructions of the manufacturer. I think 4.5 – 5 minutes will give them the right texture, making them light and crispy. When I´m making these for a large crowd I turn on the oven to its lowest setting and put the cooked waffles or pancakes inside to keep them warm until ready to serve. 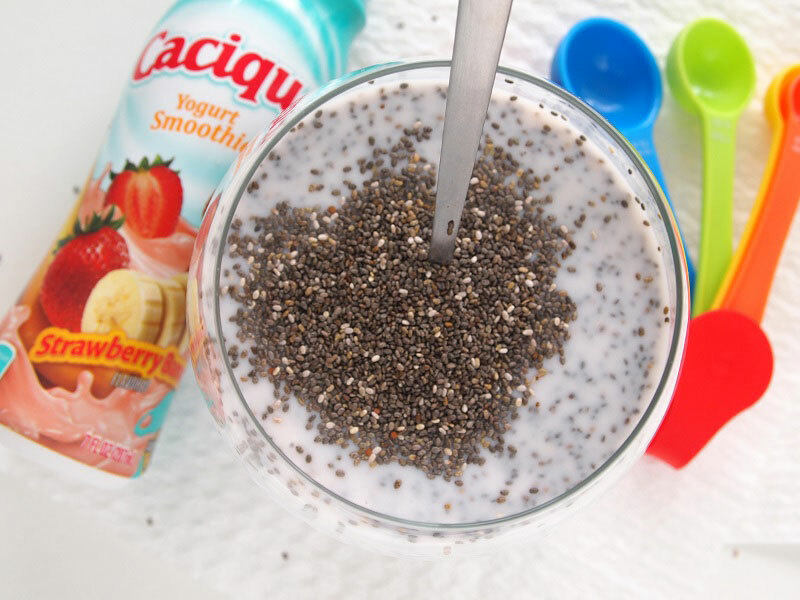 Mix Cacique Yogurt Smoothie Strawberry Banana with chia and grated ginger. Stir and refrigerate overnight. Before serving it add the whipped cream and some of the fruits into it and mix well. 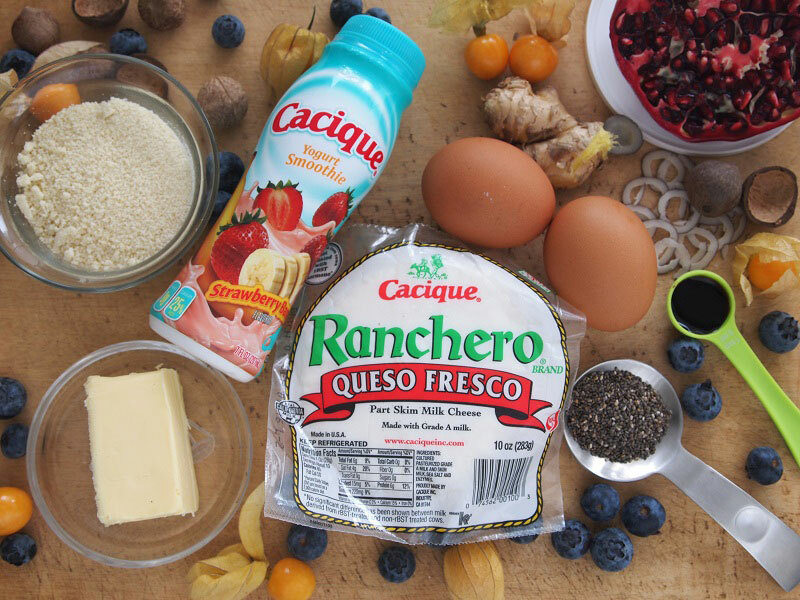 Combine flour, almond meal, baking powder, salt and Ranchero Queso Fresco. 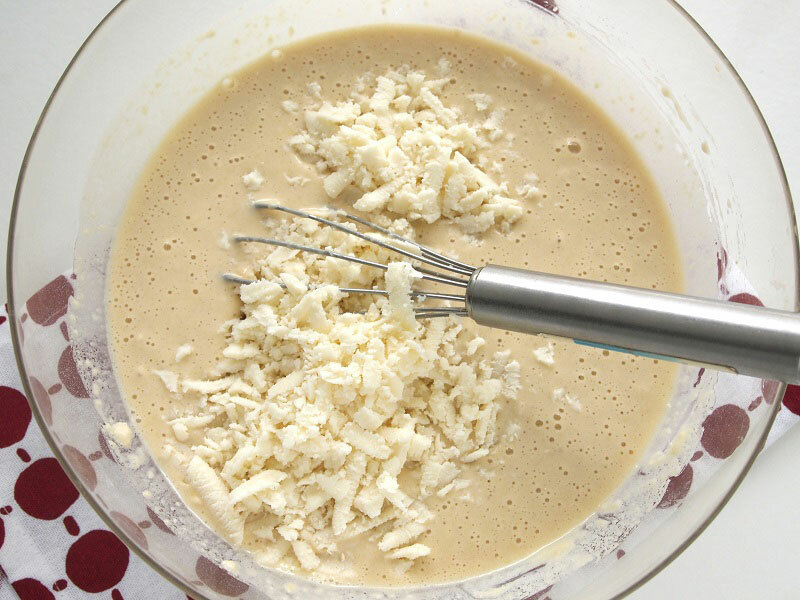 Add egg yolks, melted butter, milk, and vanilla, and mix well. Beat the egg whites until firm. 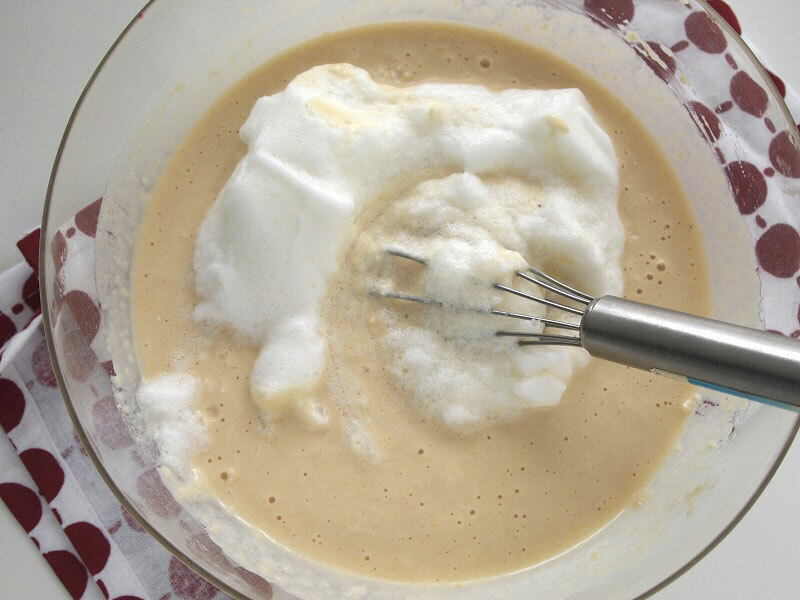 Fold into the mixture using a spatula. Heat a skillet and make pancakes turning them once. 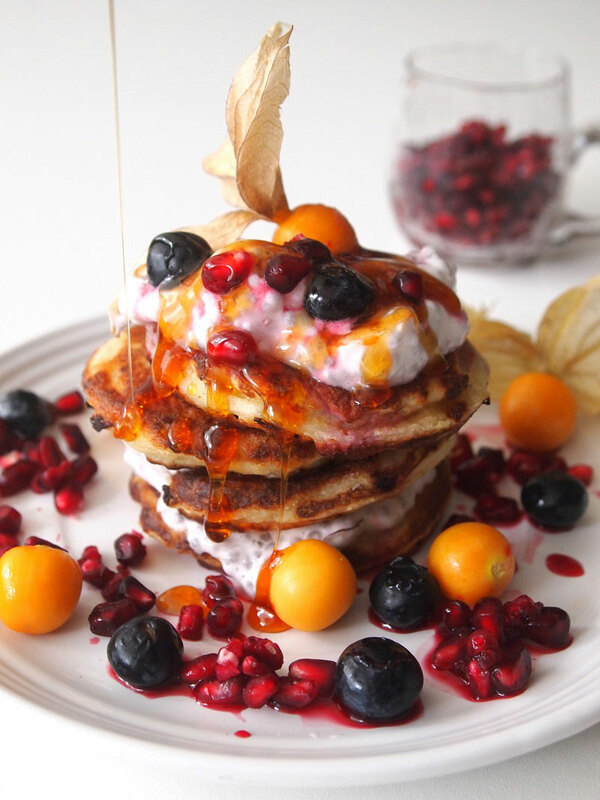 Serve the pancakes with the yogurt and chia mousse, some fruits, and drizzle with honey. 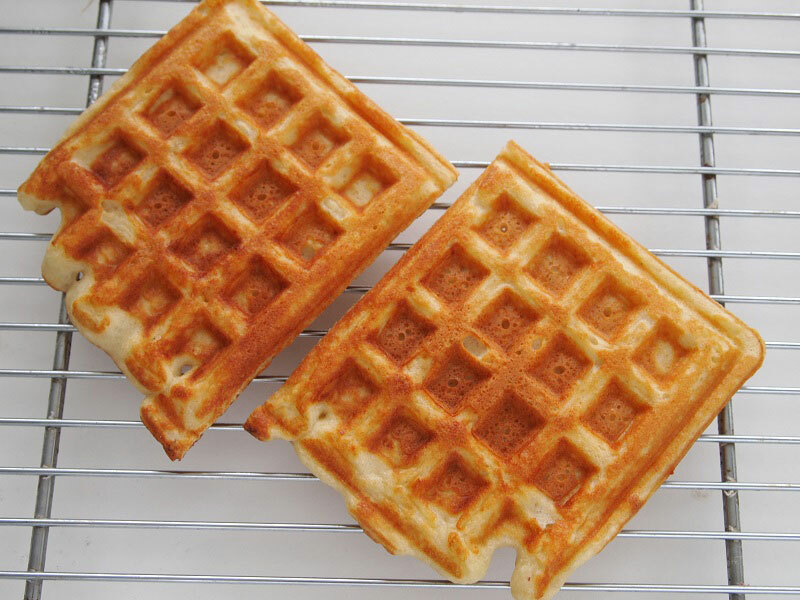 Heat the waffle iron, put about ½ cup of the batter and cook for 4.5 - 5 minutes or until nicely golden and crispy. 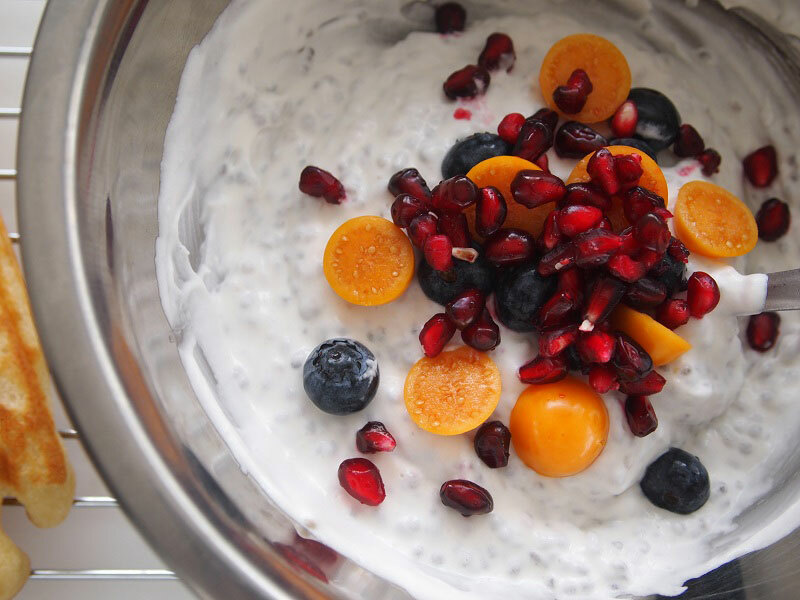 Serve immediately with yogurt and chia mousse, fruits and honey.